Thanks for everyone who linked up! I LOVE your blog and I am your newest follower!!! Thanks for visiting RAndee's Organized Chaos!!! Hope you will come follow along!! Thank you for inviting to your party and leading me to your fab blog. I am a new follower and just linked up a couple projects. 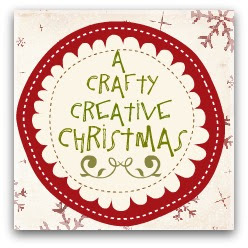 This blog, apart from documenting a wild experiment to produce gifts that are worth giving, is also about an effort to make my Christmas gifts more personal. I have no idea what to buy half the people this year and ANOTHER cd or dvd is starting to seem a little hollow. Now I just have to decide on what I can make...how fun is that? 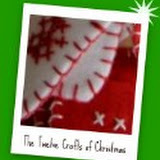 All original designs on this website (text and photos) are copyright of Rosie Quinn 2011/2012. If you would like to share my ideas on your blog, please give proper credit to them. 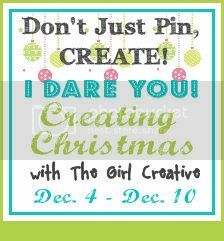 It would be awesome if you could drop me an email and let me know too, so I can check out your blog and craft projects. Thank you! My First Link Party EVER! If you are not on here yet then you might not have a button!